Spiritual entrepreneur Brooke Emery (maiden name Olstein), founder of B. Unlimited Productions, is a Certified Strategic Attraction Coach, Strategic Business Coach, Connector, and spiritual tour guide. She is the Executive Producer for the film “The Quest,” based on the novel by Heather Strang (The Quest’s fan page on Facebook.) 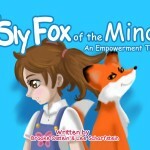 She has recently co-authored a children's empowerment book called "The Sly Fox of the Mind" that empowers everyone to let go of the bully in their mind. As a Possibility Synergist, Brooke’s true gift is her wide-angle vision of possibility that removes blind spots and reveals opportunities for her partners. She partners with and matches up spiritually minded entrepreneurs, Internet marketing mavens, and creative thinkers, to cross-pollinate and promote progressive joint ventures. Forbes recognized Brooke as a natural connector who has a “jelly bean jar” of creatively brilliant people in her life. She recently handled the joint ventures for “The Art of Success II” program by David Neagle. Brooke works with many other best selling authors, internet marketers, and multi-passionates on a mission with their visions and their strategic alliances. As an independent producer and writer, Brooke has many television and film projects in development. With roots in both publicity and film, Brooke has been exploring the world of media ever since she graduated from Tulane University. After two years at Winter Films, having obtained the coveted position of Director of Development (East Coast), she moved on to begin developing her own projects for film, television, and theatre. Lending her skills to events as well, Brooke produced a 9/11-benefit, Heroes In Uniforms, for the NYPD/FDNY/and Port Authority. At the dawn of her career, Brooke worked at Springer/Chicoine Public Relations on many exciting projects including the Hamptons Film Festival, Nantucket Film Festival, the American Museum of the Moving Image Tributes to Dustin Hoffman and Tom Hanks, the Castle Hill Productions of Chicago Cab, River Red, Private Confessions, Norsk Films' Insomnia, Junk Mail, Stellan Skarsgaard and Lainie Kazan. Possessing a truly multi-cultural edge; Brooke has spent time living in Spain and loves traveling through out the world. Her greatest co-production are with her husband Lee are her two daughters Arielle and Kaya. Why Did I Write Sly Fox Of The Mind?